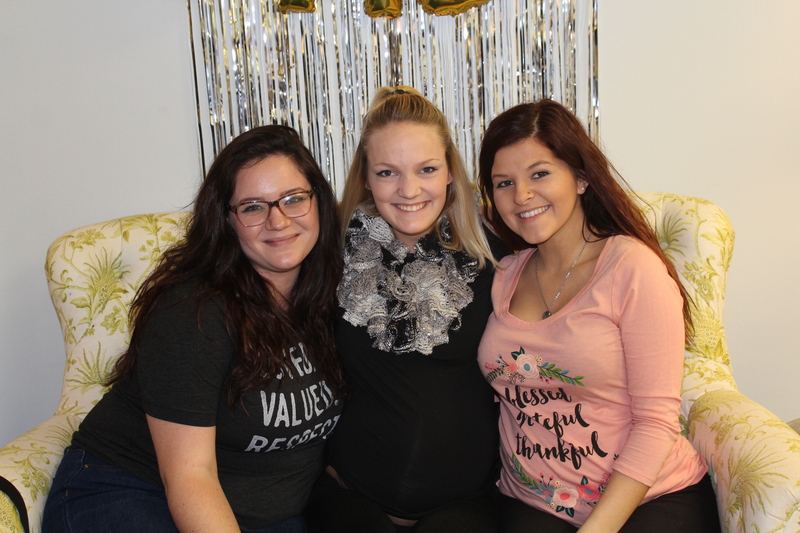 This past week, we were fortunate enough to host 18 baby showers for first-time moms at HOPE. For eight hours, we welcomed moms, dads, families, and friends inside our walls to celebrate the arrival of a little boy or little girl. 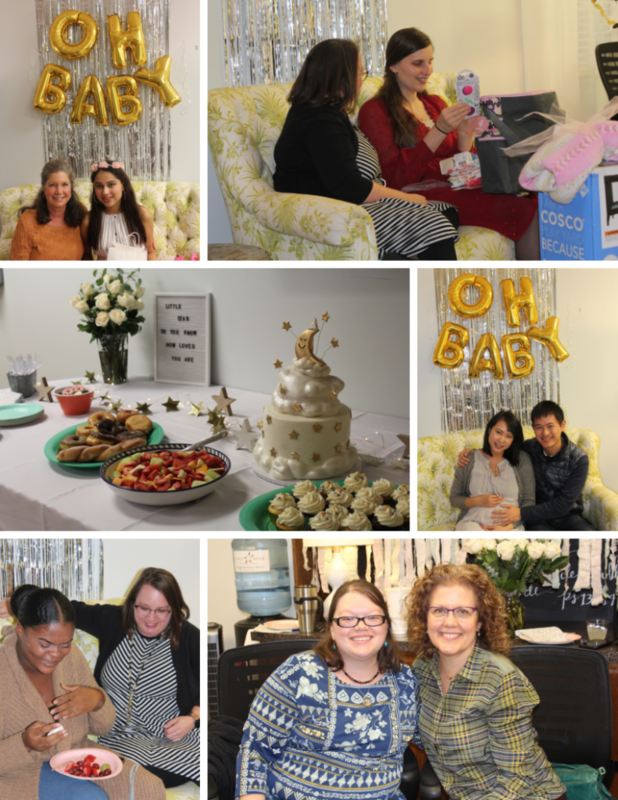 This is nothing new at HOPE as we host baby showers every quarter, but this experience and opportunity to shower gifts on a suspecting mom never grows old. You see, these showers each quarter illustrate, in a tangible way, why we spend our entire year serving those that walk through our door with free medical services. Through your gifts and support we are not forced to pick between medical services and material assistance. Instead, we are able to provide both at a very high level of excellence for our patients. The last baby showers of the year are always special as we sense things winding down and the holiday season approaching. These showers were also made special because of a partnership that has been forming over the past few years with Ignition Church. I, in my role at HOPE, am blessed to connect with pastors and leaders across the city of Knoxville as we seek to foster relationships and better serve the image bearers in our community. It was in one of these recent coffee meetings that Ignition Church volunteered to “host” our November baby showers. They lovingly and joyfully jumped at the chance to serve our patients in this way. It is important to note that their hosting was not by simply opening up a building or providing a space for the showers to take place. That would have been enough, but Ignition went a few steps further and donated decorations, food, and gifts for the showers and for our patients. The decorations transformed our conference room, the food filled stomachs, and the gifts provided much needed items to our patients. Ignition Church, like many of the churches we partner with, didn’t ask for anything in return. Instead, they gave so that a mom and her child might know that they are loved, valued, and respected. They gave knowing that they may never meet these moms or their babies, but they chose to love them anyway. The Church is often the target of culture’s blame for the ills of the world, but I can relay to you with firsthand experience that the Church is loving and serving cities across this country. Last week we witnessed people take off from work, sacrifice time, and spend their own money to shower strangers. This is what the Gospel compels us to do and this is what Ignition and so many other churches do here at HOPE with little to no accolades. My challenge to the HOPE team is no different than my challenge to you as a HOPE partner. May we keep our focus on Jesus, be a gracious and grateful people, and serve well those He brings our way. I am happy to say that we met that challenge last week through the support of so many, and I pray we continue to meet that challenge every single day the Lord allows us to serve here at HOPE.